If you’re heading to Kenya for a safari holiday, you’re probably expecting to pass through Nairobi as quickly as you can. But the timings of the direct international flights from London mean a night in the city is now necessary for most visitors. 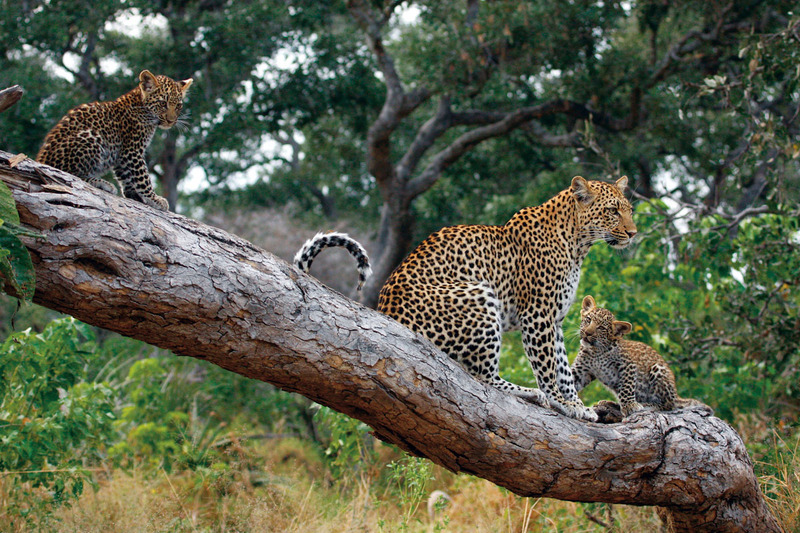 So why not make the most of your Nairobi stopover. Here’s a handy is a round-up of recommended half day excursions in and around the city. Some are fairly close so easy to combine if you wish. 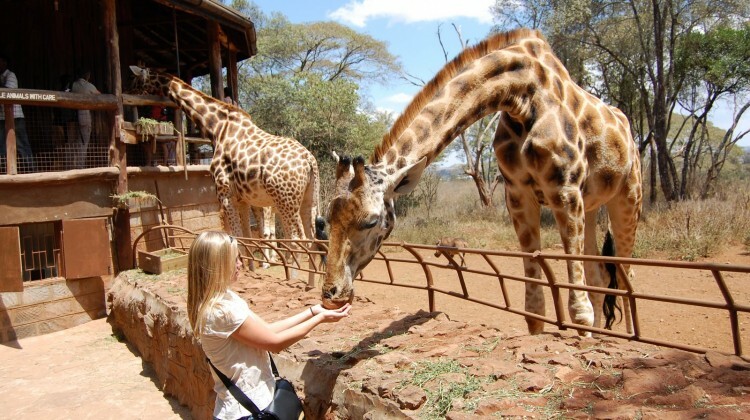 Not far from the elephant orphanage (see below) and situated in Nairobi’s Langata suburb is the Giraffe Centre. The African Fund for Endangered Wildlife Kenya (commonly known as the Giraffe Centre) is a non-governmental, non-profit making organisation, founded by Betty and Jock Leslie-Melville in 1979. The centre’s objectives are to provide free environmental education to the Kenyan youth, and the conservation of endangered species. 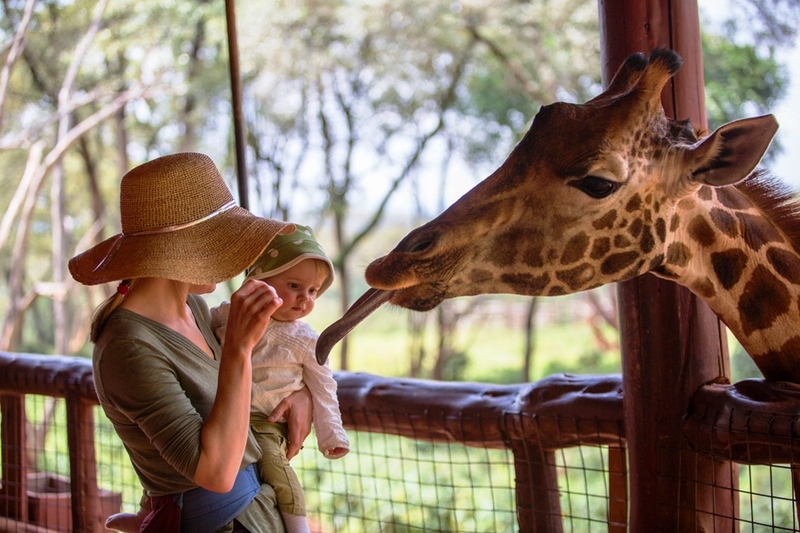 In doing so it gives visitors the opportunity to get up close and personal with endangered Rothschild giraffes. Giraffes amble right over to you to snack on peanut pellets from your hand. If getting licked by a foot-long tongue and hit with musky giraffe breath isn’t your idea of fun, there’s also a café, a gift shop and a tortoise pen. If you’re really into giraffes, then you might consider a night at Giraffe Manor, in whose grounds the giraffe centre is located. This colonial-era home has been turned into a luxury hotel where you can feed the animals from your room. Near the Langata neighbourhood, a suburb on the southwest side of Nairobi. 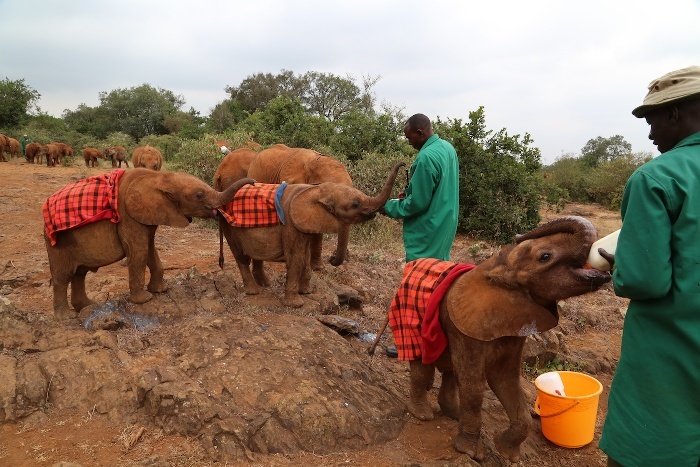 Rated by Trip Advisor as Nairobi’s top visitor attraction, this is where Dame Daphne Sheldrick has pioneered raising and re-integrating orphaned elephants into the wild. 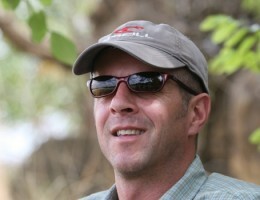 She is involved in many conservation projects across Kenya and has a great understanding of wildlife. The David Sheldrick Wildlife trust is a small flexible charity, established in 1977 to honour the memory of a famous naturalist, the founder warden of Tsavo East National Park. It’s a non-profit organisation that rescues baby elephants whose parents have been killed by poachers or by disease. Its appeal? How many places can you see a knee-high baby elephant guzzling milk out of a bottle? Or holding out its trunk for a massage? This is the kind of TLC that the elephants get here. As the little elephants march into the viewing area in colourful check blankets, guides explain some basics of elephant behaviour. The elephants are highly intelligent, but needy too. The workers here actually sleep in the stalls with them until they get too big. Then they take them back to the wild and stay with them for six months in the bush until they are ready to live on their own. The orphanage also takes in rhinos and so if you are lucky you will get the chance to see a young rhino as well. We recommend that you sponsor an elephant (US$50) and become an elephant foster parent which entitles you to request an exclusive appointment at 5pm when they return to the stockades for the night. 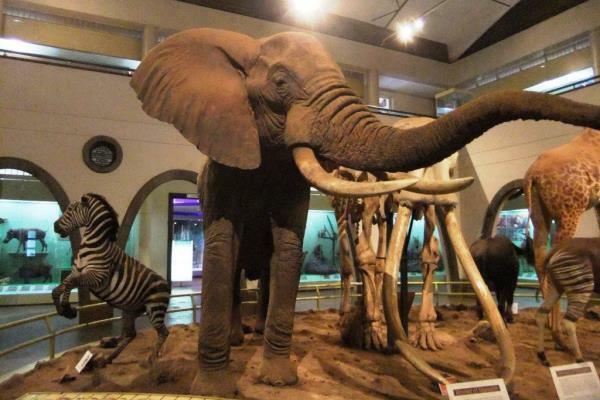 The National Museum of Kenya was founded by the East African Natural History Society in 1910. Over the years it has grown into an institution of both regional and international importance and houses a fine collection of exhibits. Nairobi Snake Park is one of attractions located adjacent to Nairobi National Museum and is extremely popular with visitors. You can purchase combination tickets to see both attractions. The Karen neighbourhood, is named after Karen Blixen, the Danish baroness who, as Isak Dinesen, wrote “Out of Africa.” Originally the author’s home, and the centre piece of her farm at the foot of the Ngong Hills, the 1912 building was converted into a museum in 1986. The building’s architecture is typical of its time and offers a wonderful glimpse of a bygone colonial era. 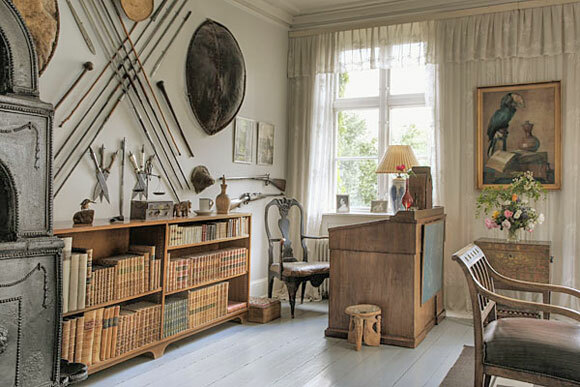 Inside you’ll find various artefacts from Blixen’s life as well as props from the film. Sit outside and you can soak up the million-dollar view of the Ngong Hills which inspired her, and countless others, to romanticise this part of the world. The Carnivore serves every type of meat imaginable, from lamb and pork to ostrich and even crocodile. 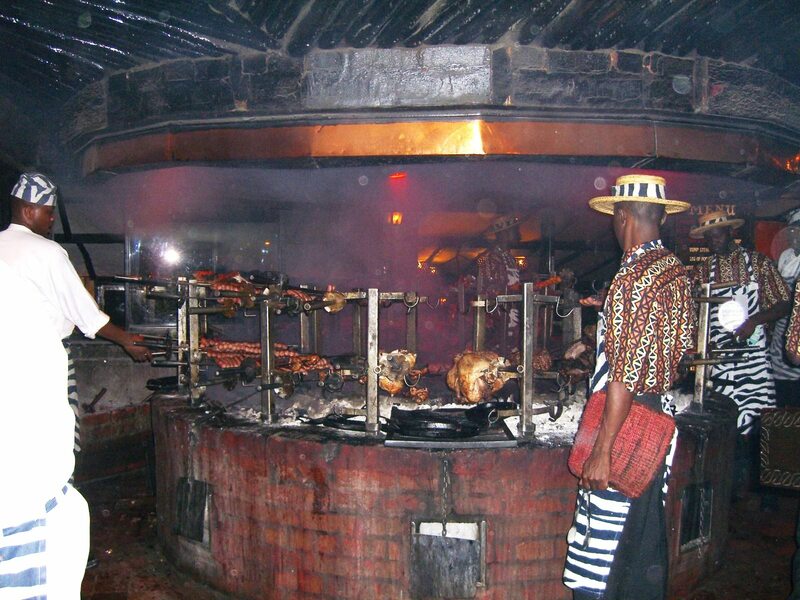 Various cuts are are roasted on swords over a huge, spectacular charcoal pit that dominates the entrance of the restaurant. Delicious side dishes and an exceptional array of sauces complement this fixed-price ‘all-you-can-eat’ meat buffet feast that also includes soup, a selection of desserts and Kenyan dawa cocktails and coffee. 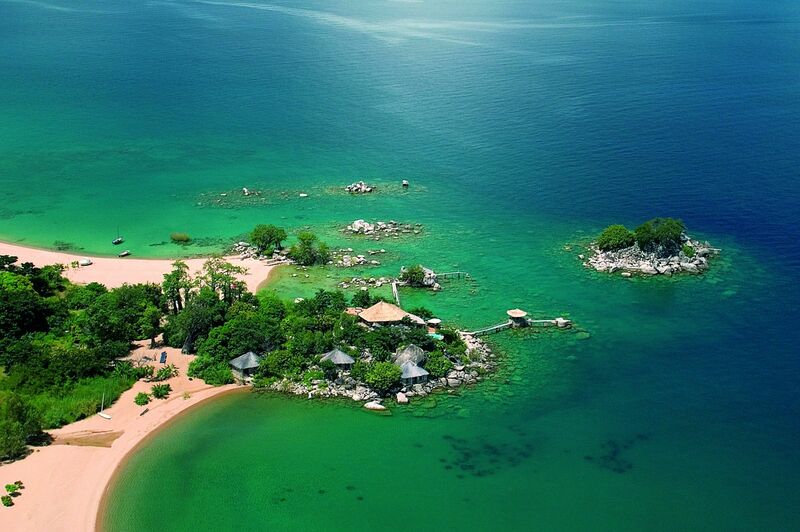 Set in attractive tropical gardens, the service and the décor are outstanding. A must for any meat pilgrims in Kenya. This popular South African franchise arrived recently in Nairobi. The modern-rustic feel provides a great ambiance, the service is equally good and the food, wow! 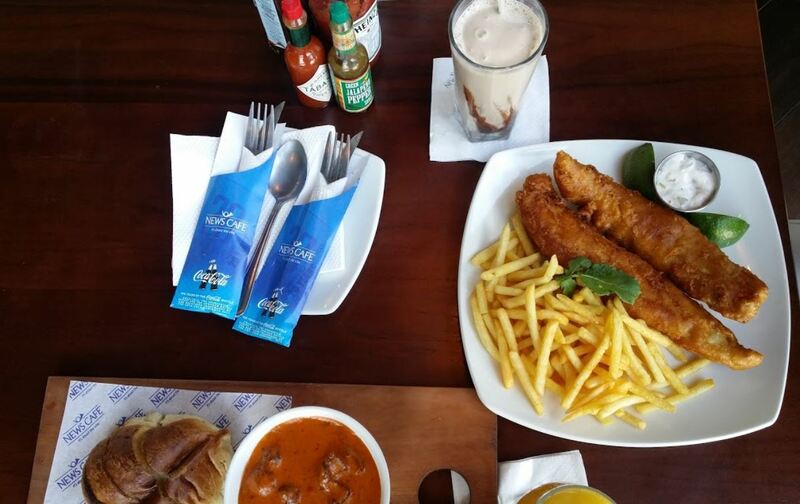 Expect large portions of classics: good old fish and chips, juicy burgers and fresh salads. The prices are reasonable and breakfast is served all day. The variety of cocktails tops up the Nairobi experience. 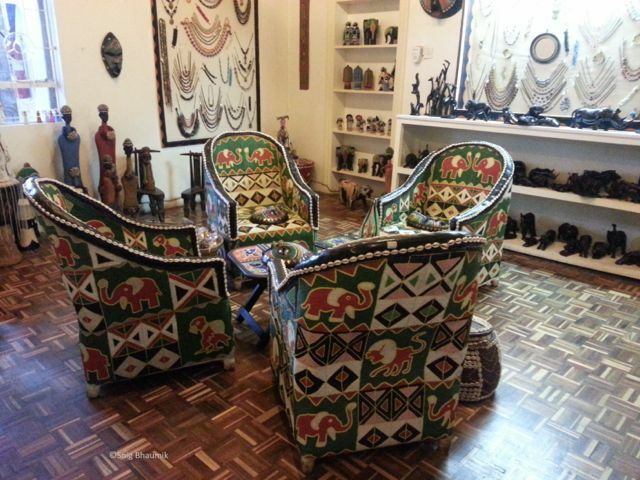 Utamaduni, meaning culture, tradition and folklore, opened its doors over 20 years ago and has established itself as one of the major tourist attractions in Nairobi. The two storey Kikuyu-style house offers a unique shopping experience, boasting 19 shops, with a wealth of Kenyan culture inside. You can sit with a drink in the beautiful garden and then wind your way through a treasure trove of shops, where friendly staff will assist and help pack or ship if needed. The large entrance hall is devoted to antiques, wood carvings, bronze items and jewellery of the highest quality. Other shops feature Masai items, Kisii stone, African fabrics, a men’s boutique, books, Kenyan kiondos (baskets), a kitchen shop with hand-beaded glassware and carved wooden bowls. The children’s shop stocks fantastic toys and the safari shop completely kits out the traveller for the bush. 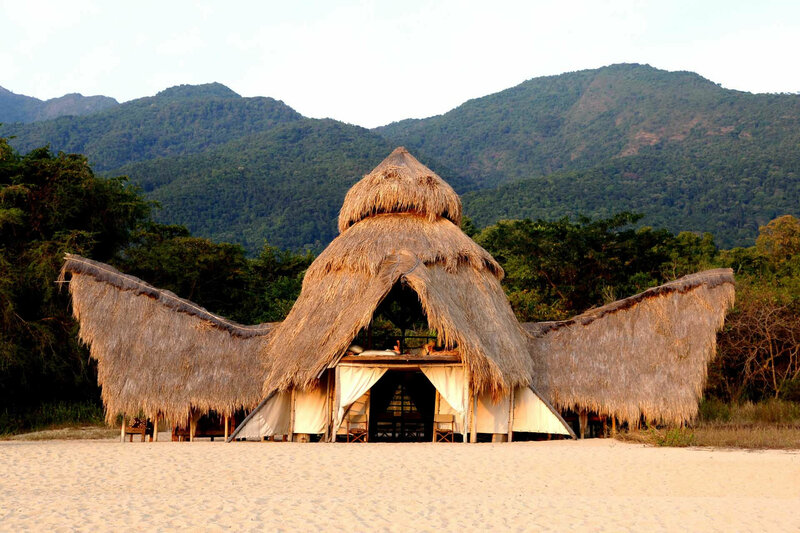 The beach shop provides everything you need for the coast in the form of khangas (wraps) and kikoys (sarongs). A furniture showroom displays attractive Lamu furniture, while a fabric shop stocks clothing and accessories made from West African fabrics. 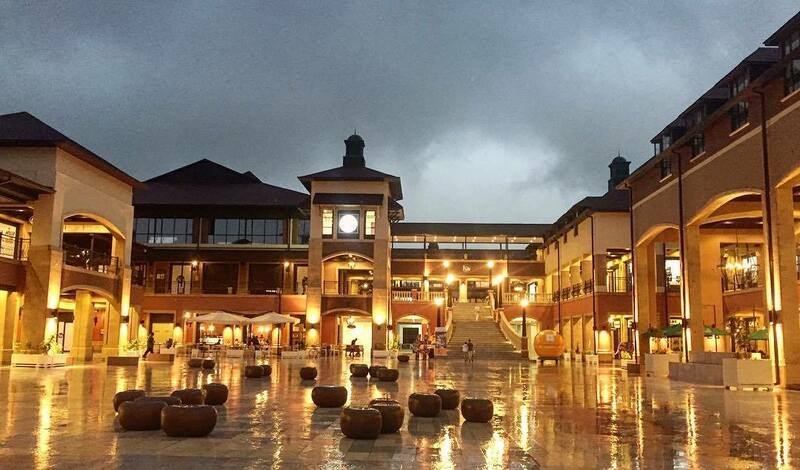 Recently built, Kenya’s second biggest shopping mall ‘The Hub’ features French hypermarket Carrefour and 57 other stores. The complex will also feature a green supermarket, leisure facilities such as cinema, amphitheatre, gym, spa, jogging track, lake with fishing, orchid garden and extensive green areas. Lapigems is a precious gemstone jeweller featuring rare gems mined in East Africa. The company has been mining sapphires in northern Kenya since 1974, and is expert in the finest quality tanzanite and tsavorite. At this magnificent showroom you can see how the stones are cut – right from the mining process to the final stone. They sell ready made jewellery, or you can buy loose gemstones. There are options to have your own jewellery designs created or to use the in-house design service to incorporate your gemstones.